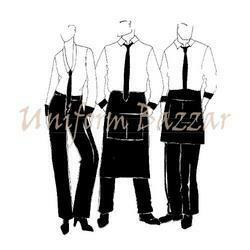 With our commitment to facilitating our clients with international standard Barman Uniforms. Offered extensive range is in demand from both males and females. The offered range is know from it wrinkle free fabric and its durability. The range is offered in various sizes, colors and patterns. Offered by us, the range of designer uniforms is stitched utilizing premium grade fabrics, procured from dependable vendors of the market. These are made available at a market leading price range. Our collection of women Barman Waist Apron is designed at par with the latest fashion trends which provide an elegant look to the wearer. These products is known for their comfort, aesthetic designs and colorfastness. 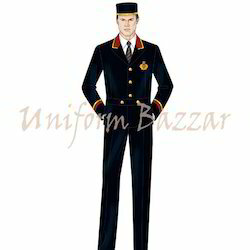 We are leading manufacturer,supplier and exporter of wide range in all type ofDesigner Uniformwith using best quality of fabric and stitched by well trained tailors. This product is in darker shade of the colour. ThisT SHIRTis offered in various specifications in order to suit the preferences of the customers. This product is appreciated by large number of clients due to good quality. We are engaged in manufacturing and supplying an extensive range of Designer Uniforms for both men and women. Our range is designed by our team of creative and experienced designers as per the specific demands of our valued clients. These uniforms are color fast, extremely comfortable to wear and have perfect finish. 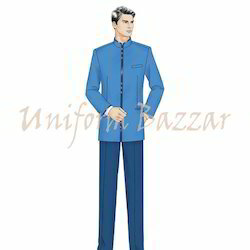 Designer Uniform- DU-4 offered can be made available by us in different cut finish designs as well as in color fabric choices so as to perfectly match up with the specific demands of the customers. Further, the use of quality fabric also makes these highly comfortable to wear. Some of its features include can be made available in different fabric color choices as demanded by the customers; beautiful designer looks; finish parameters of dresses can also be customized as preferred by the customers. 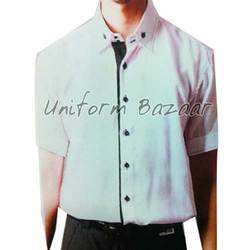 Backed by the rich experience and hard working professionals, we are able to offer Stylish Uniforms.The offered range of designer uniform is stitched using premium grade fabrics and modern machines in strict conformation with the highest quality norms. The range is popular among men and women both due to its premium feel and vibrant color range. Furthermore, the range is designed according to the demands of our clients.